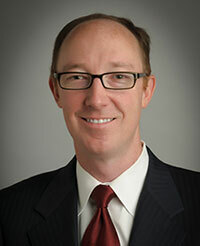 IRVING, Texas -- Jack Stout, senior vice president of merchandising, has been named senior vice president of merchandising, marketing and demand chain, for 7-Eleven Inc. His new role replaces that of Jesus Delgado-Jenkins, executive vice president and chief merchandising officer, who retired in June. Stout is responsible for the company's merchandising operations, category management, new product introductions, new category and profit center development, store sets, marketing and merchandise communications, fresh foods and commissaries, as well as 7-Eleven’s distribution centers. He also is a member of 7-Eleven's executive committee. Stout joined the company in 2003 as operations planning manager. He went on to hold positions as director of store development strategy, senior director of national franchise and vice president of business and financial planning; he joined the merchandising leadership team in 2015. Before joining 7-Eleven, Stout served as an officer in the U.S. Air Force, achieving the rank of captain. He was awarded the Air Force Commendations Medal and selected as a Professional Performer by the Inspector General. After serving in the military, Stout held positions with TXU Energy and Booz Allen Hamilton. He currently serves on the board of Cafe Momentum, a nonprofit culinary and restaurant organization that provides mentoring, support and work experience to at-risk youth in north Texas. Irving, Texas-based 7-Eleven operates, licenses or franchises more than 66,000 stores globally. The retailer is No. 1 on CSP's 2018 Top 202 ranking of U.S. c-store chains by number of company-owned retail outlets.